In the following video/article taken from my book "The Flat Earth Conspiracy" I debunk 5 popular science myths long used to dupe people into believing the spinning ball-Earth theory, namely, circumnavigation, time-zones, ships disappearing over the horizon, Foucault's Pendulum and the Coriolis Effect. 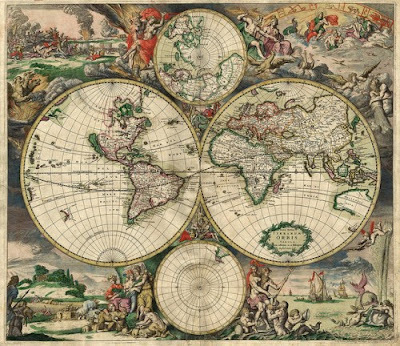 The ball-Earther’s logical argument is that only a globe can be circumnavigated, the Earth has been circumnavigated, and therefore the Earth is a globe. This is indeed a logical modus ponens statement, but the conclusion is rendered invalid because the first premise - that only a globe can be circumnavigated - is categorically false. 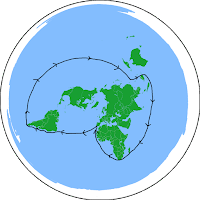 Another similarly logical but unsound argument ball-Earther’s make is that only on a globe would one gain or lose time when sailing/flying East or West, time is gained or lost when sailing/flying East or West, and therefore the Earth is a globe. Again, the logical conclusion is rendered invalid and the argument unsound because the first premise is incorrect. The same effect would be experienced on a stationary flat-Earth as it would on a spinning ball-Earth. Another favorite “proof” of ball-Earthers is the appearance from an observer on shore of ships’ hulls being obfuscated by the water and disappearing from view when sailing away towards the horizon. Their claim is that ship’s hulls disappear before their mast-heads because the ship is beginning its declination around the convex curvature of the ball-Earth. Once again, however, their hasty conclusion is drawn from a faulty premise, namely that only on a ball-Earth can this phenomenon occur. The fact of the matter is that the Law of Perspective on plane surfaces dictates and necessitates the exact same occurrence. For example a girl wearing a dress walking away towards the horizon will appear to sink into the Earth the farther away she walks. Her feet will disappear from view first and the distance between the ground and the bottom of her dress will gradually diminish until after about half a mile it seems like her dress is touching the ground as she walks on invisible legs. The same happens with cars speeding away, the axles gradually get lower and the wheels vanish until it appears as if the car is gliding along its body. Such is the case on plane surfaces, the lowest parts of objects receding from a given point of observation necessarily disappear before the highest. Not only is the disappearance of ship’s hulls explained by the Law of Perspective, it is proven undeniably true with the aid of a good telescope. If you watch a ship sailing away into the horizon with the naked eye until its hull has completely disappeared from view under the supposed “curvature of the Earth,” then look through a telescope, you will notice the entire ship quickly zooms back into view, hull and all, proving that the disappearance was caused by the Law of Perspective, and not by a wall of curved water! Ball-Earthers will often quip that “if the Earth were flat, then we could see all over it!” but this is of course ignorant and inaccurate. If you stand on the beach, a plain or prairie, you will find the horizon extends about three to six miles around you depending on the weather and your eyesight. The range of the human eye, our field of vision is from 110 to 1 degree, and the smallest angle under which an object can still be seen is 1/60 of 1 degree, so that when an object is 3000 times its own diameter away from an observer, it will cease to be visible. So for example, the farthest distance at which one can see a 1 inch diameter penny, is 3000 inches, or 250 feet. Therefore, if a ship’s hull is 10 feet above the water, it will disappear from the unaided eye at 3000 times 10 feet, or 6 miles. This has nothing to do with the supposed “convexity” or “curvature” of the Earth and everything to do with the common Law of Perspective. In the mid 19th century a Frenchman named Léon Foucault became famous for swinging pendulums and claiming their consequent motions were proof of the Earth’s diurnal rotation. Since then “Foucault Pendulums” have regularly been swinging at museums and exposition halls worldwide purporting to provide everlasting perpetual proof of the heliocentric spinning ball-Earth theory. 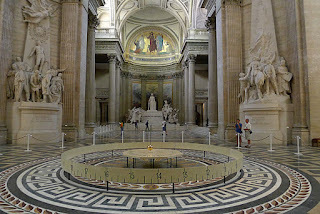 The truth is, however, unbeknownst to most of the duped public, that Foucault’s pendulum is a failed experiment which proves nothing but how easy it is for pseudo-science to deceive the malleable masses. To begin with, Foucault’s pendulums do not uniformly swing in any one direction. Sometimes they rotate clockwise and sometimes counter-clockwise, sometimes they fail to rotate and sometimes they rotate far too much. Scientists who have repeated variations of the experiment have conceded time and again that “it was difficult to avoid giving the pendulum some slight lateral bias at starting.” The behavior of the pendulum actually depends on 1) the initial force beginning its swing and, 2) the ball-and-socket joint used which most-readily facilitates circular motion over any other. 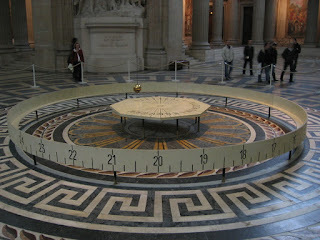 The supposed rotation of the Earth is completely inconsequential and irrelevant to the pendulum’s swing. If the alleged constant rotation of the Earth affected pendulums in any way, then there should be no need to manually start pendulums in motion! If the Earth’s diurnal rotation caused the 360 degree uniform diurnal rotation of pendulums, then there should not exist a stationary pendulum anywhere on Earth! 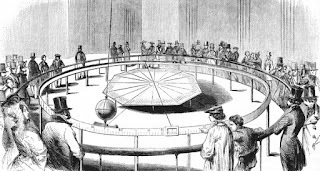 Also in the mid-19th century, another Frenchman named Gaspard-Gustave Coriolis performed several experiments showing the effect of kinetic energy on rotating systems, which have ever since become mythologized as proof of the heliocentric theory. The “Coriolis Effect” is often said to cause sinks and toilet bowls in the Northern Hemisphere to drain spinning in one direction while in the Southern Hemisphere causing them to spin the opposite way, thus providing proof of the spinning ball-Earth. Once again, however, just like Foucault’s Pendulums spinning either which way, sinks and toilets in the Northern and Southern Hemispheres do not consistently spin in any one direction! 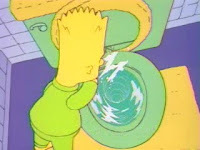 Sinks and toilets in the very same household are often found to spin opposite directions, depending entirely upon the shape of the basin and the angle of the water’s entry, not the supposed rotation of the Earth. 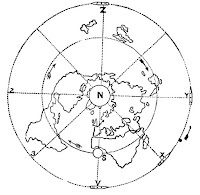 The Coriolis Effect is also said to affect bullet trajectories and weather patterns as well, supposedly causing most storms in the Northern Hemisphere to rotate counter-clockwise, and most storms in the Southern Hemisphere to rotate clockwise, to cause bullets from long range guns to tend towards the right of the target in the Northern Hemisphere and to the left in the Southern Hemisphere. Again, however, the same problems remain. Not every bullet and not every storm consistently displays the behavior and therefore cannot reasonably be used as proof of anything. What about the precision of the sight aperture, human error, and wind? What about Michelson-Morley-Gale’s proven motion of the aether’s potential effect? Why does the Coriolis Effect affect most storms but not all? If some storms rotate clockwise in the North and counter-clockwise in the South, how do those storms escape the Coriolis force? And if the entire Earth’s spin is uniform, why should the two hemispheres be affected any differently? 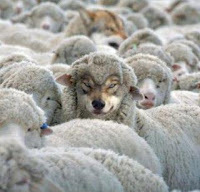 Coriolis’s Effect and Foucault’s Pendulum are both said to prove the Earth moves beneath our feet, but in reality only prove how easy it can be for wolves in sheep’s clothing to pull the wool over our eyes. For anyone that still believes in the Spinning Ball Earth. Great stuff as always, Eric. Will soon be posting more on direct vision and perspective that will sink their boat. The PLANET Does NOT SPIN or ROTATE Around the SUN!! Magical gravity cannot account for the fact that airplanes in flight are not affected at all by the alleged spinning of the earth which they should be if the earth really was spinning. Curvature is damning. The sad thing is that I had a discussion with a friend of mine, one with whom I have had many esoteric and enlightening discussions in the past, and while he is rejects most of what the zombies on this earth may call "the way things are"... when I presented the flat earth, curvature, etc. 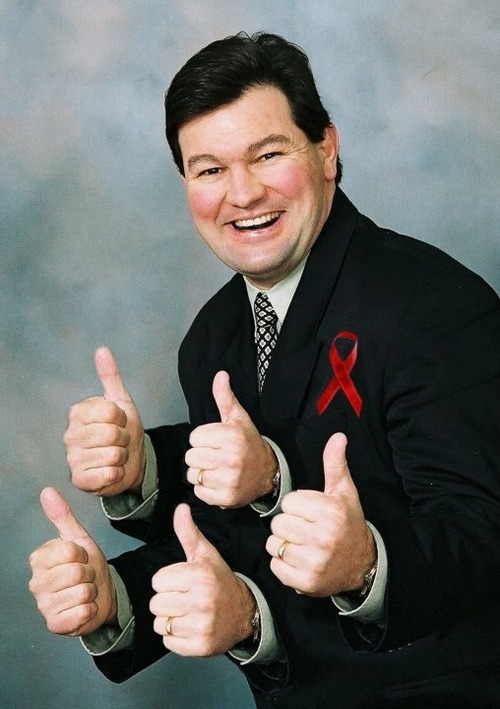 to him... he actually quite strongly rejected the idea. What a wake up call to me. Someone I actually respect, still do, out and out slapped me down and said it was ridiculous without even examining the material. Well, nobody promised me it would be easy to show folks but it was disheartening. The wife (someone brought up in the lie the same as I was) asked me what was the point of explaining the flat earth matter to her to which I answered, "It's to break the lie and to open peoples minds". You're only so free as you allow yourself to be. If living on an intellectual and spiritual "plantation" between your ears is what you deem freedom then clearly people must be happy being slaves of their own making. 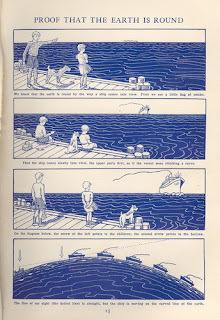 "Ships disappearing over the curvature" is just natural plane perspective. Hi all, heard about this documentary by Dakila Pesquisas and can’t seem to find any mention of it on IFERS.... Is this something to be excited about, outlandish conclusions or worse, misinformation. The trailer kinda has me leaning toward outlandish but love to hear others thoughts. Considering that this "Brazilian Cut" is based on Convex Earth, I'd say you're here promoting DISINFORMATION. "Brazilian scientists at Dakila Pesquisas through seven years of studies, scientific experiments were conducted at different points in the world, with the involvement of government institutions and professional researchers from a variety of fields." "Convex Earth: The Documentary. The preview, by invitation, will take place on March 26, at 7:30 pm, at the Shopping Eldorado in São Paulo (SP). Three days later, the documentary will be released at convexearth.org, in Portuguese, English and Spanish. Following the documentary, the book Convex Earth will be released, including all the scientific findings and a new map of the world."